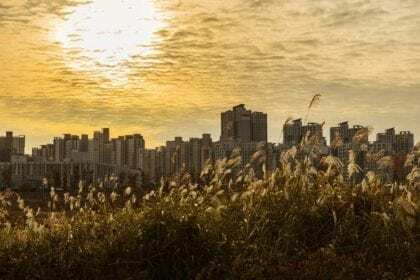 Gyeonggi province, the most populous region in South Korea, will be hosting an exhibition on basic income on April 29th and 30th to coincide with the launching of its Youth Basic Income program. The program will unconditionally give one million Korean Won ($US900) in local currency per year to 24-year-old residents of Gyeonggi province. The program was first piloted when the now provincial governor of Gyeonggi, Lee Jaemyung, was the mayor of Seongnam City. Lee Jaemyung made the expansion of his Youth Dividend program part of his winning electoral manifesto in last year’s local election, and the program will be expanded to the whole of Gyeonggi province starting this April. The Basic Income Exhibition will largely be composed of three parts. First, a provincial fair will be held with 31 cities and counties participating where local specialties could be purchased with the local currency. Second, a promotional platform for basic income will be created, introducing its history, meaning, and experiments that have helped make it a reality. Third, a conference will be held under the subject of ‘Basic Income: A New Paradigm in the Age of Cooperation’. The conference will discuss basic income experiments and policies that are proceeding around the world, and go on to consider how basic income relates to the commonwealth, technological changes, the status of women, democracy, and the very definition of social value. The keynote speakers of the conference are Annie Miller, co-founder of BIEN and the chair of UK Citizens’ Basic Income Trust, and Kang Namhoon, the chair of Basic Income Korea Network (BIKN), and they will give keynote addresses, respectively titled ‘From Vision to Reality: A New Age of Justice, Peace and Welfare’, and ‘Life in the Future driven by Technology Innovation and Basic Income’. In addition, Governor Lee Jaemyung will present the outlines of Gyeonggi Province’s Youth Dividend program in a session on discussing the various basic income experiments and pilot programs around the world. Other guest speakers of the conference include Almaz Zelleke (NYU Shanghai), Tomohiro Inoue (Komazawa University, Japan), Sarath Davala (Vice-chair of BIEN, India), Sam Manning (Y Combinator, USA). Leading members of BIKN, such as Min Geum, Nowan Kwack, Junghee Seo, Seungho Baek, Kyoseong Kim, Sophia Seungyoon Lee, Hyosang Ahn, will also attend as speakers at the conference. The Youth Basic Income program that became the catalyst for the upcoming exhibition/conference is far from ideal, limited as it is in both the age group and amount involved. But it will be one of the biggest pilot programs of basic income so far in the world, involving some 170,000 people, and an excellent opportunity to observe the community effect of a basic income, with the results being analyzed by the Gyeonggi Research Institute. One of the controversies surrounding Gyeonggi Province’s Youth Basic Income is that it will be given in local currency, which is only usable within the province rather than in cash, quite far from being an ideal basic income. Despite its limitations, there are some hopes for the program. Given that the local currency can be only be used in small businesses of the province, it could stimulate the local economy and provide the base for a broader coalition in support of the basic income program, and basic income in general. Moreover, basic income can be regarded as part of a broader reimagining of society, and local currencies are a way to reconstruct social economies and could be part of that reimagining. As Thomas Paine once said, time makes more converts than reason, and while the youth basic income is limited, it can certainly be a step forward for basic income into political reality.